The concept of beauty changes a lot over time. What is considered beautiful or on-trend is continually shifting. Sometimes we want skinny eyebrows, which all the models have and then unexpectedly we have to grow them all back because now the new trend is huge, bushy, eyebrows thanks to likes of Cara Delevingne. Last year we saw a beauty contradiction: while loads of women adopted new, painstakingly intricate makeup routines of an expert level, Alicia Keys sparked a ‘no makeup’ movement when she stopped wearing anything on her face at award shows and red carpets. With so many changes, it’s hard for us to keep up. In the last few years, the beauty industry has seen an influx of lotions and potions, all promising to protect the skin against environmental factors. In addition, we have seen interest grow from women who want to know exactly what is in their products and looking for greener and cleaner choices. With so many beauty salons everywhere, getting the glowing complexion of our dreams has never been easier. There are so many places and treatments to choose from, where we can be pampered to our hearts content and leave looking gorgeous. Here is the hard part that we usually choose to ignore. We all know genetic makeup plays a huge role in who we are, what we look like, and we cannot do anything about it. However, on a positive note we also recognise that our lifestyle can play a massive part in how our skin ages. Exercising regularly and eating healthy is extremely beneficial for us, although, how many of us do this consistently? For many beauty salons this year, the buzzword will be genetics and anti-ageing. 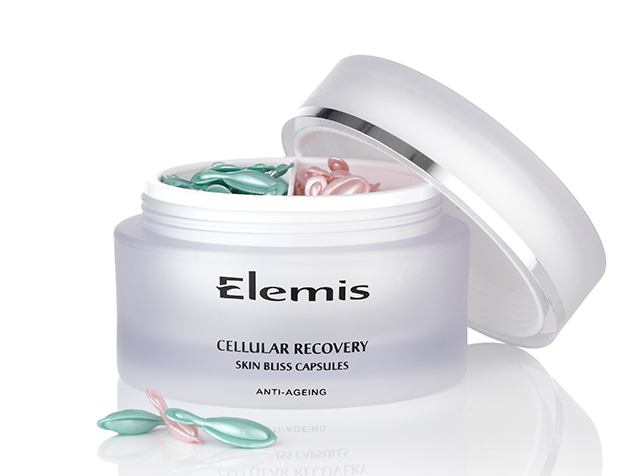 At The Ritz Salon, one of the most popular anti-aging facials is the ELEMIS Pro-Collagen Age Defy. You can experience the age-defying beneﬁts of marine-charged Padina Pavonica, a unique Mediterranean alga with clinically proven outstanding anti-ageing benefits. 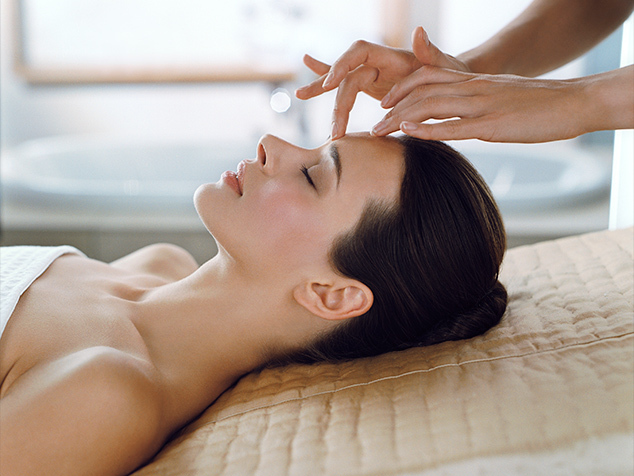 Our therapist’s targeted massage encourages optimum cellular function for nourished, younger looking skin. This facial is 60 minutes of pure pleasure. The Ritz Salon has a large choice of ELEMIS facial and body treatments, designed to respect the body’s complex physiology and work in natural synergy with the skin, body and mind. 1. The key to glowing skin is to exfoliate it regularly to remove all dead skin cells leaving it looking bright and glowing. 2. The best lip exfoliator is granulated sugar; it leaves your lips feeling silky smooth. This will also make your lipstick stay on for longer. 3. To remove fake tan, massage baby oil on your body for 10 minutes before you shower and use an exfoliator in the shower. 4. Keep nail polish in the fridge to make it last longer. 5. To make sure your party hairstyle doesn’t move, spray your grips with hair spray before styling. With all this talk about beauty, we cannot forget our hair. Over the years, there has been so many different hair trends and styles for both men and women. Some styles stay for a long period and others are short lived. Don’t put your flat iron back in its draws just yet. We love the straight, shiny, and centre-parted hairstyle. Please remember, this style only works if your hair looks healthy with no split ends. Tip: Make sure you use a heat protectant through your hair before touching it with a straightener. Flat iron waves are the new curling iron waves. Waves created with a straightener are more subtle than with curling irons. Tip: Keep your ends straight for the most polished finish. The ‘shag’ hairstyle was the surprising hit haircut in 2016. However, those layers and fringe have to grow out sometime. In 2017, we are seeing the beautiful results of that, with hair that reaches just past the shoulders and fringes that are long enough to split down the middle, the ‘grown-out shag’ is the haircut to keep an eye on this year. 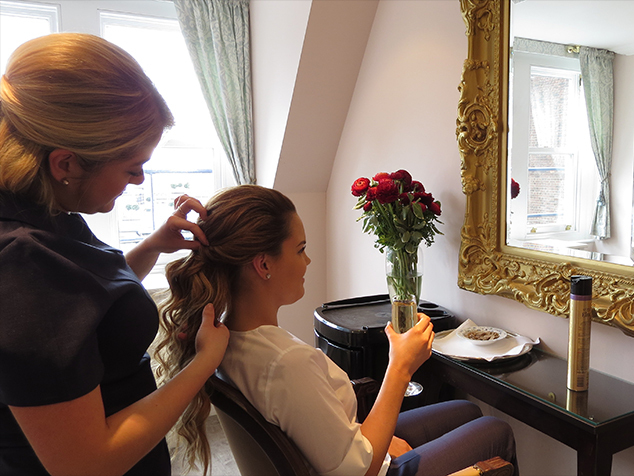 If you are not sure, take a visit to The Ritz Salon and our professional hair stylist will be able to create whatever style you like and provide you with tips on how to look after it and what are the best products to use for your hair type. The Ritz Salon is located on the seventh floor of the 5 star Ritz London hotel and provides an extensive range of health and beauty treatments including spa treatments, manicures and pedicures, hair styling and professional makeup application with our undivided attention. 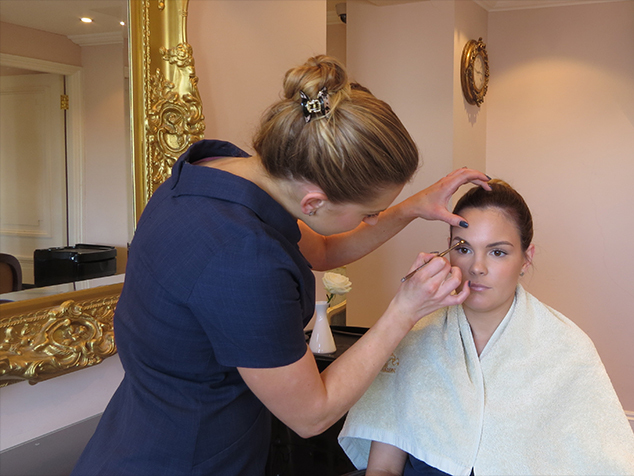 Everyone deserves pampering every now and again so why not visit The Ritz Salon today and we guarantee you will leave feeling rejuvenated and looking radiant. An exclusive evening of gourmet dining and live entertainment including the fabulous BBC Big Band.